Pictured video footage which showed St Petersburg, Florida mom, Celena Troupe encouraging her teen daughter to 'beat' pregnant teen girl. Pictured video footage showing St Petersburg, Florida mother, Celena Troupe encouraging her teen daughter to ‘beat’ pregnant teen girl. 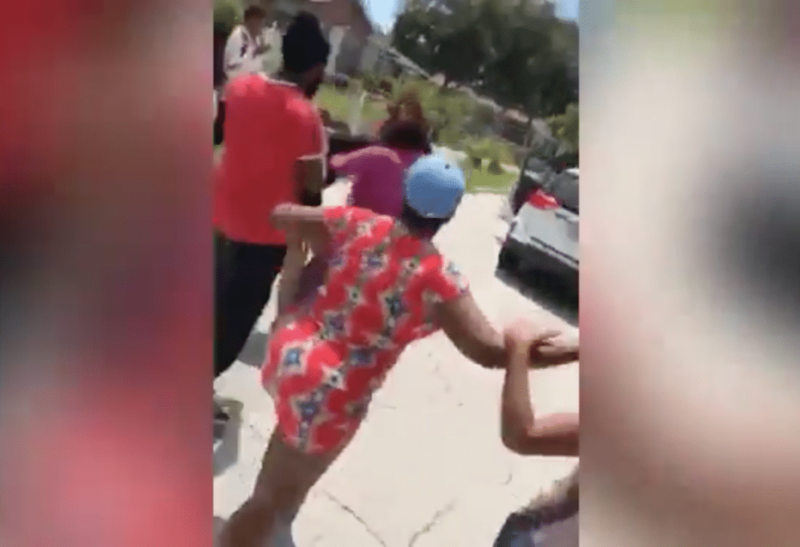 Celena Troupe a Florida mother is arrested after video shows her urging her teen daughter to beat pregnant teen girl up. Charged with felony child abuse. Also appearing on the tabloid front pages is 34 year old Florida mother, Celena Sherri Troupe who on Friday was arrested and charged with child felony after ‘cheering on’ her teen daughter during a fight with a pregnant teen girl. 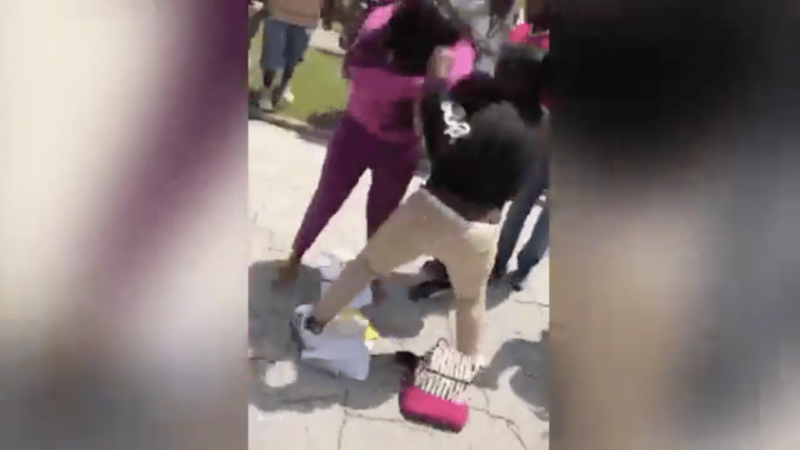 Video of the incident (see below) showed the St. Petersburg mother actively urging her 16 year old daughter during a brawl with another girl to ‘beat her a**’ as a group of girls become involved in a skirmish. Footage shows the two teens punching each other in the head and pulling hair, with nearby witnesses declining to intervene. The fight finally ends when with one of the girls getting into an SUV that was waiting and leaving the scene. An arrest affidavit did not indicate whether either of the teen combatants was injured. Police allege Troupe, who has her first name tattooed on her chest ‘actively encouraging’ the fight. Why decline? According to cops, Troupe, a convicted felon was allegedly aware her daughter’s opponent was pregnant. Upon her arrest, Troupe was taken into the Pinellas County jail. The woman was subsequently released Friday evening after posting $5000 bond. The incident has since been widely shared on Facebook, with commentators expressing disbelief. Of note, Troupe has previously served two separate prison terms in Florida. Her most recent jail stint included the mother spending two years behind bars ending in April 2013. 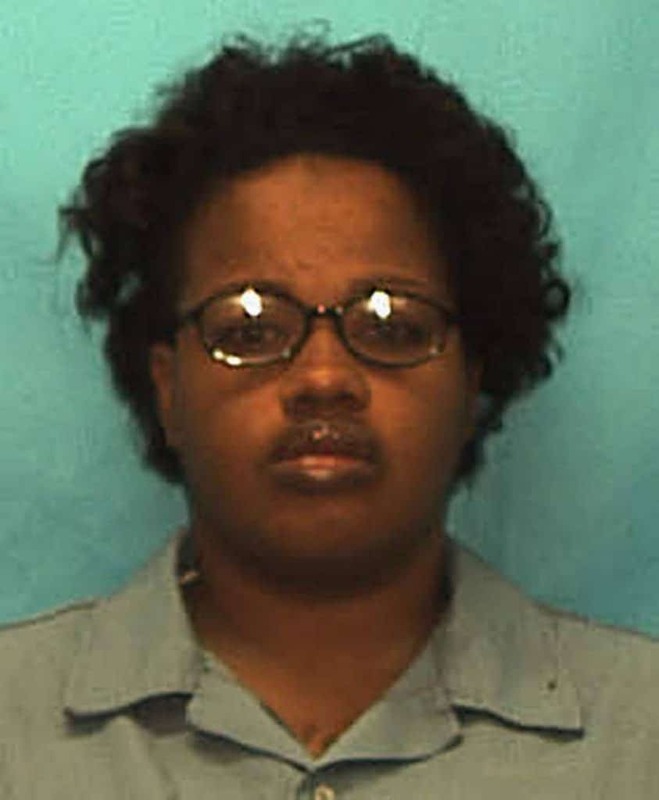 Roughly three months following her release, Troupe was arrested for escorting without a license in Georgia. At the time the mother pleaded guilty to a misdemeanor charge. Yet to be necessarily understood is if child services have interceded in the parenting of Celena Troupe…. Pictured video footage which showed St Petersburg, Florida mom, Celena Troupe encouraging her teen daughter to ‘beat’ pregnant teen girl. Screen shot. 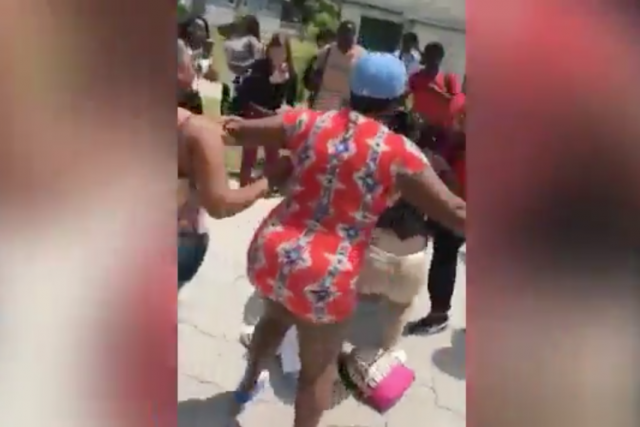 Pictured video footage which showed St Petersburg, Florida mom, Celena Troupe (blue cap) encouraging her teen daughter to ‘beat’ pregnant teen girl.